One of the issues which has always faced charities and other organisations when it comes to attracting volunteers is that of the level of commitment that they expect to be shown from volunteers in terms of the amount of time they can put in and the regularity of their commitment to the cause. 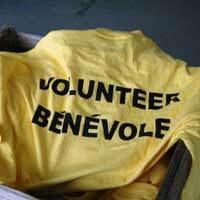 What is often forgotten is the fact that volunteers are not paid for their services. And although they will have other motivations for choosing to volunteer, such as being passionate about a particular cause, to increase their skills and experience, to improve their confidence or to enhance their CV and make them more employable, one of the biggest barriers they face is the level of commitment that charities and organisations often require. These days, we’re all under increasing pressure when it comes to managing our time and fitting in all of our various commitments and it often seems as though there are just simply not enough hours in the day. Therefore, no matter how much affinity they may have for a particular cause, to take on an additional commitment as a volunteer in terms of the demands on your time, is simply not viable for many. Fortunately, some charities are today waking up to the realisation of that and have begun to introduce ‘flexible volunteering’ initiatives to increase the number of volunteers on their books by offering alternative ways in which they can volunteer their services at a time to suit them. So, what exactly is ‘flexible volunteering’? Firstly, to offer a flexible volunteering initiative, it’s important to note what ISN’T flexible volunteering. Yes, it’s true that many charities and organisations will try to market themselves as ‘volunteer friendly’ and try to attract volunteers by saying that they would only be required to put in X amount of hours and, for example, ‘only on weekdays’, or ‘only one weekend in 4’. Nevertheless, this does not constitute ‘flexible volunteering’ in the strictest sense of the definition as in marketing themselves in this manner, they are still imposing certain conditions as to when and how a volunteer needs to perform their duties. Obviously, not all voluntary roles could be 100% flexible as certain duties can only be done at certain times of the day and the organisation may need a minimum of coverage at any particular time. However, some organisations and certain roles within them can benefit greatly from flexible volunteering arrangements. What flexible volunteering’ really should be about is the ability to be able to help out by offering your services as a volunteer as and when it suits you with no regular pattern of commitment or a minimum stipulated number of hours each week. Therefore, one week you might choose to give an hour of your time, the next week 5 hours, then the following two weeks, you may choose not to devote any of your time to volunteering at all due to other commitments. Why Should Those Looking For Volunteers Be Open To The Concept? Some people might think that somebody who worked in a ‘high-flying’ profession, e.g., a surgeon, a lawyer or a stockbroker (or it could be any busy profession for that matter or any full-time job), would simply not have the inclination to participate in voluntary work. However, in thinking that, you would be very much mistaken. On the contrary, many full-time workers and high-flying professionals have commented that they would like to give something back to the community in the form of voluntary work but that their work commitments coupled with family commitments at home means that there is simply no way they can volunteer if they’re required to carry out their duties at a set time and for a set amount of time each week or month. Young people too lead very busy lives. Many of them will be students trying to juggle the demands of academic life with a hectic social life. Many will also be in full or part-time employment. Others will be members of sports clubs with the added commitments that this takes up. However, many young people are attracted to volunteering because they’ll also have a passion for a particular cause or, in a lot of cases, they can see the added benefit that a voluntary job can give them in terms of it looking good on their CV and in providing them with many skills and often training opportunities with which to enable them to aim higher in their chosen career path or to open new avenues to them. Just as in the workplace, so it is that disabled volunteers have plenty to offer the world of volunteering. However, many disabled people feel excluded from volunteering because sometimes the rigidity of the commitment needed does not seem to take into account things like hospital appointments or periods when their health is sometimes more fragile at a certain period of the month, for example. Retirement does not necessarily mean sitting around having too much time on your hands. In fact, many active retirees often comment that they’re now able to pursue so many hobbies, spend more time with their grandchildren (or have to look after their grandchildren often at short notice), along with being able to take more holidays and long weekend breaks and this all means that they’re busier than ever. However, many would also love to offer some of their time as a voluntary worker but feel that, because they also have plenty of other commitments, they’d need more flexible arrangements to enable them to do that. For organisations who don’t wish to or cannot embrace the concept of flexible volunteering, they are missing out on a vast pool of talent who would love to be able to get involved but who require far more flexibility in terms of the level and frequency of their commitment. Fortunately, there are some organisations out there who have already realised this and a simple search on the internet for ‘flexible volunteering opportunities’ will bring up many suggestions for ways in which you can volunteer as and when you’re able to without any restrictions being imposed upon you. I am a newly qualified social worker looking for volutary work to enhance my skills and experience. i would like to get to know more about volunteering work from home as i have computer and the internet.